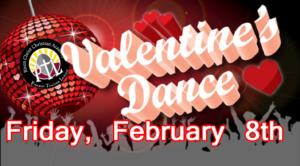 Risen Christ students and families are invited to the PTL Valentines Dance in the Parish Hall. A DJ, refreshments, dancing & FUN! Admission tickets - only $1. More details coming soon!